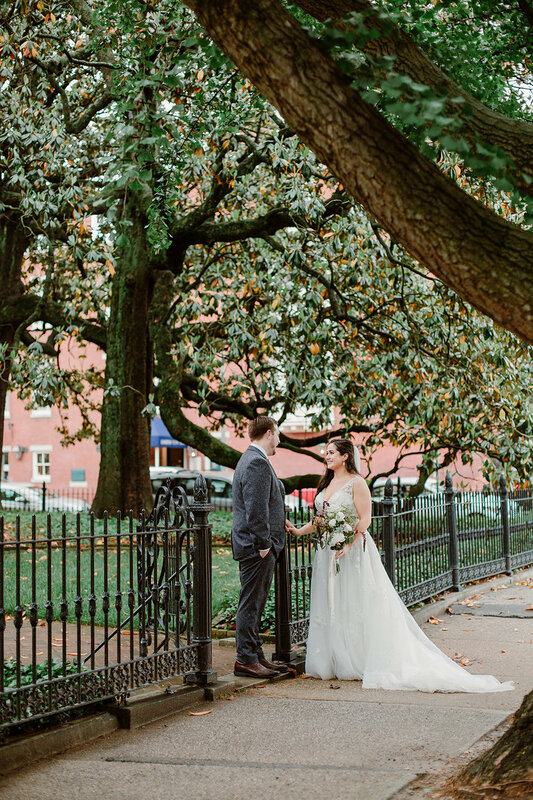 Emily and Colin tied the knot on a warm, slightly drizzly spring day. So many people were buzzing about weddings that day because it was the same date as Prince Harry and Meghan’s wedding. 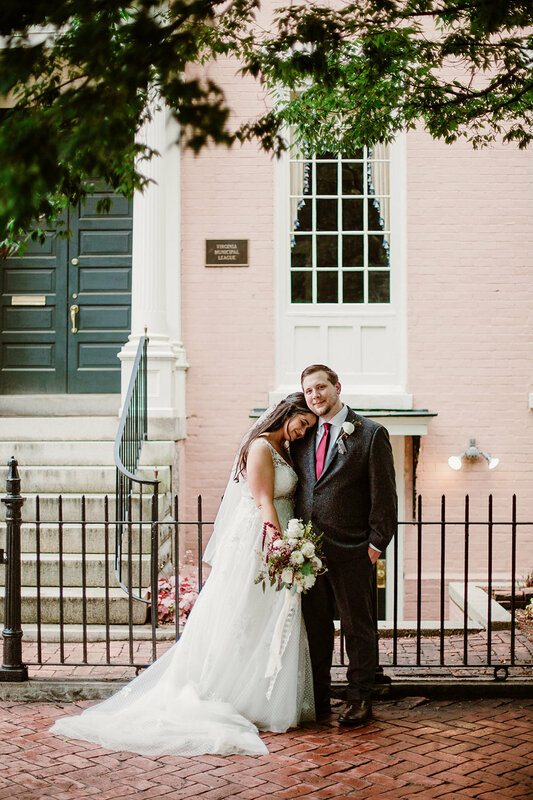 The whole day took place at the beautiful Linden Row Inn in the middle of their outdoor brick courtyard. 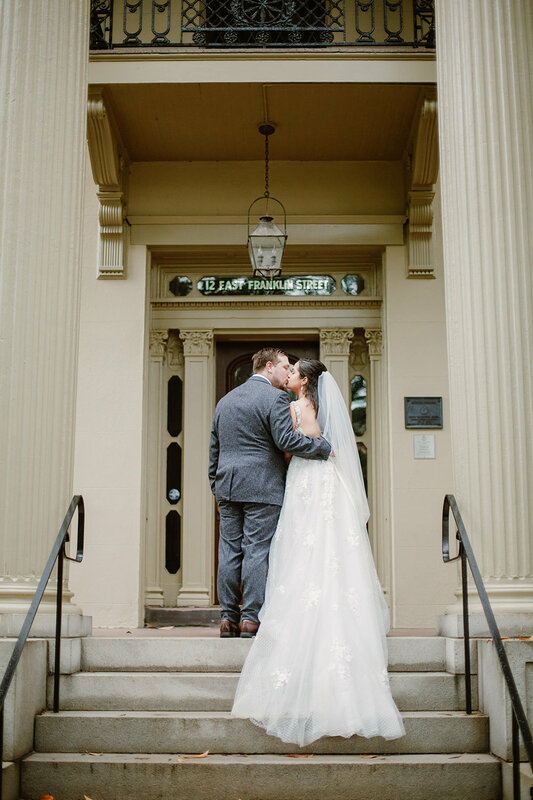 Guests stayed in the rooms surrounding the courtyard, adding to the intimate nature of their wedding. There were so many notable aspects of their day I don’t know where to begin. Colin and Emily have been together for almost 10 years and know each other so well. Their strong connection was evident in all of their thoughtful planning. The day was truly centered around the two of them and their loved ones. Their dog June was a part of the ceremony and walked down the aisle wearing an adorable bow. Colin reached down to give June a hug at one point and it was the cutest thing. 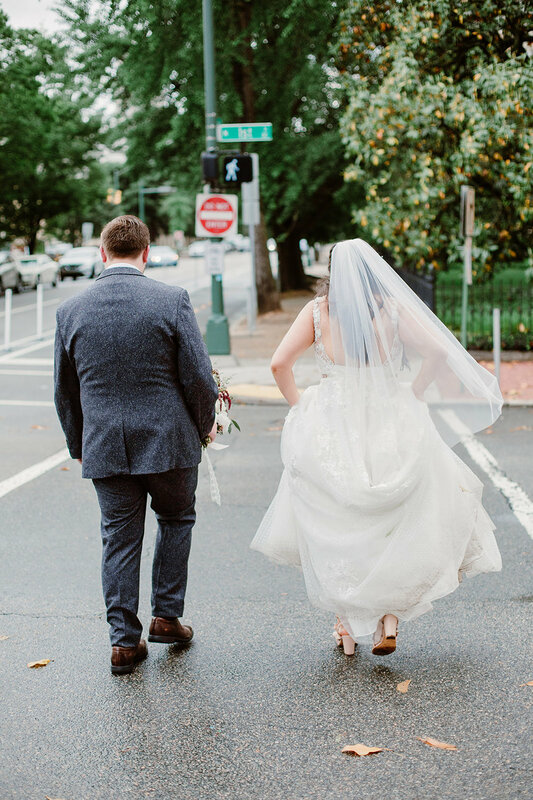 Colin and Emily are avid explorers in Richmond and love trying the different restaurants and experiences in the city. I’ve definitely asked them for restaurant recommendations on more than one occasion! 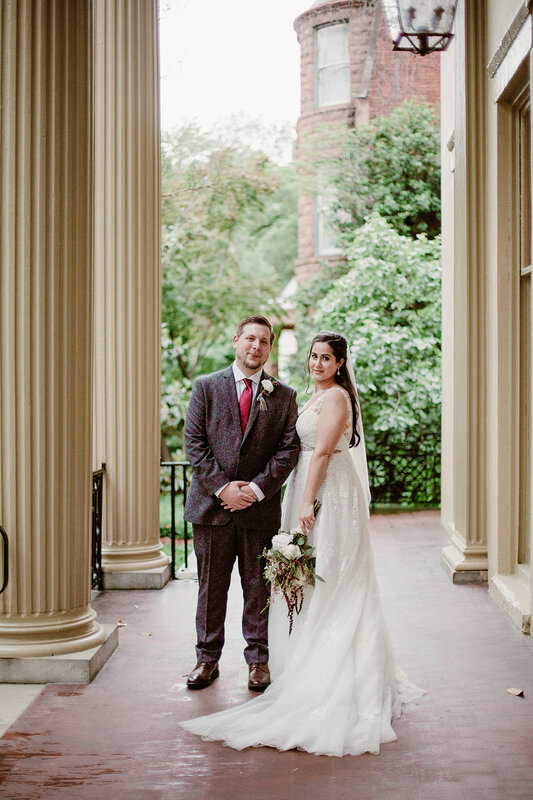 They themed their wedding tables after their love for different districts in RVA and had Buskey cider and local Sugar Shack Donuts for their dessert. It was one big celebration from beginning to end and I loved being a part of their day. P.S. Their wedding was also published in the Spring Issue No. 57 for Richmond Weddings Magazine! Look out for them if you’re flipping through it.